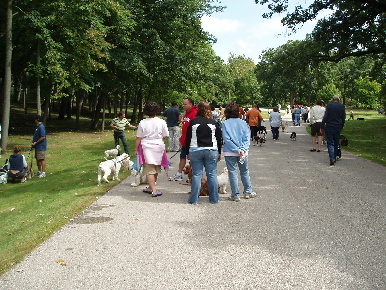 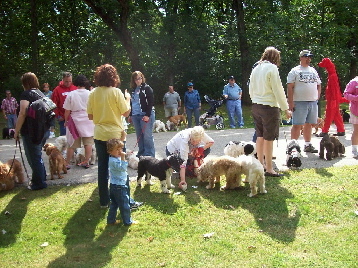 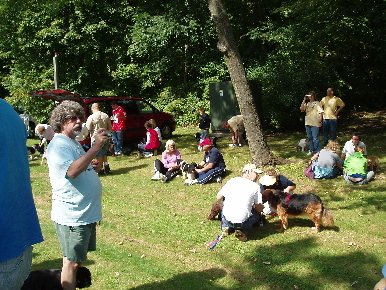 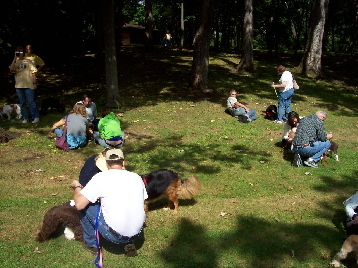 As a 2nd Annual Memorial Tribute to Marion Rutar, a photo of all dogs attending the walk who were 11 years of age or older was taken. 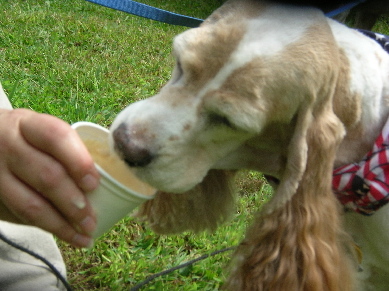 Marion's passion was the senior dogs who for one reason or another found themselves in rescue. 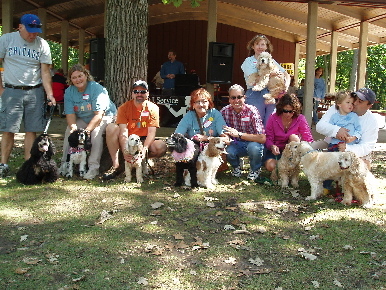 This is this year's group of seniors with their owners. 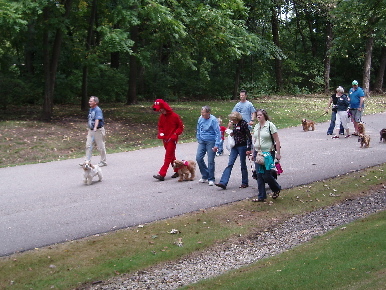 The oldest dog attending this years walk was Trixie Nelson of Marquette, MI. 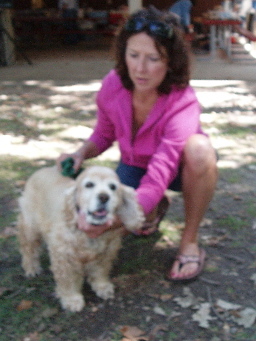 Trixie is 14 1/2 years and is pictured with her mom, Kathy. 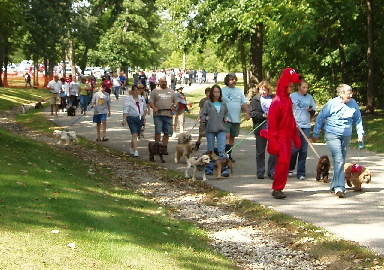 Lolly Ace, adopted from SCR in July of 2005, is the second oldest dog attending this year's walk at the age of 13 years. 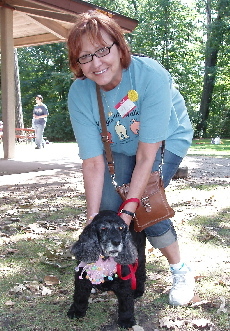 Lolly is pictured with her mom, Sue, and lives in Naperville, IL. 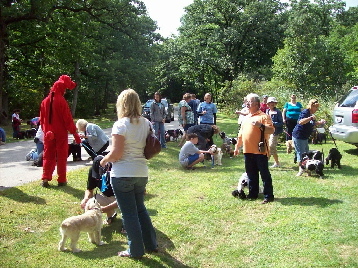 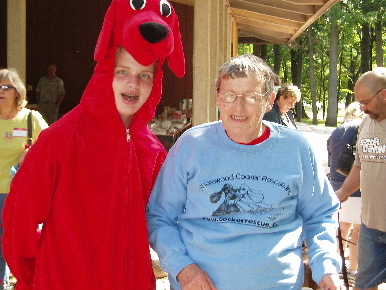 Vince dressed up as Clifford with Elaine getting ready to start the line up for the Walk. 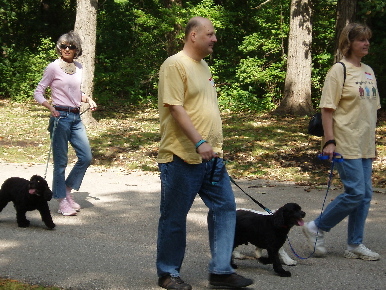 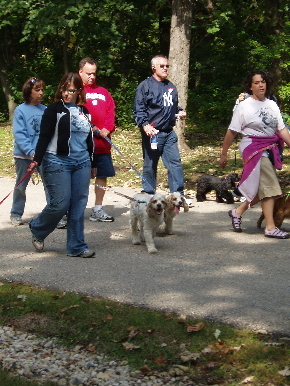 Vince and Elaine with our adoptable, Teddy, leading the walk. 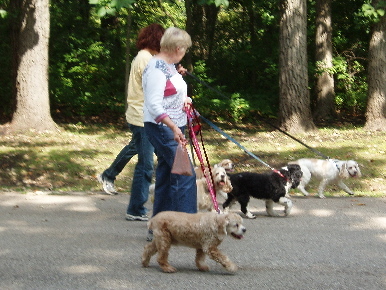 What a beautiful sight to see such a long line of cockers of all colors and ages walking with the people they love, to raise funds for so many cockers now in rescue. 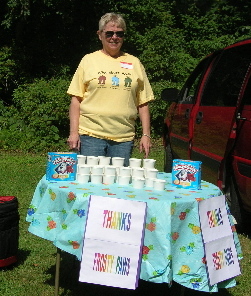 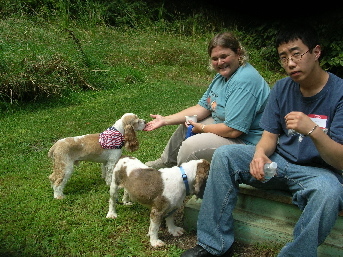 SCR Foster Mom, Sharon P. waiting at the rest stop to pass out Frosty Paws for all the dogs walking. 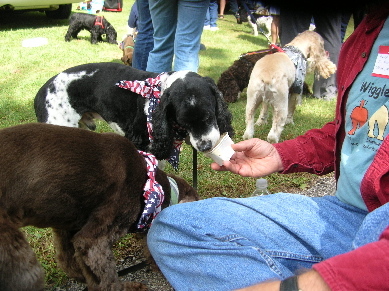 Thank You Frosty Paws for donating to our Walk this year. 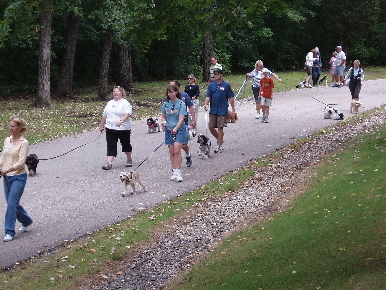 Reaching the rest stop. 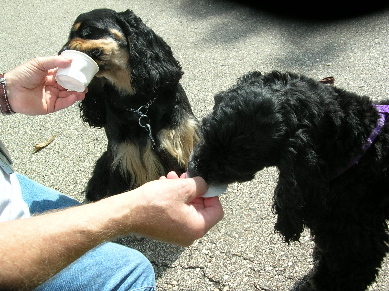 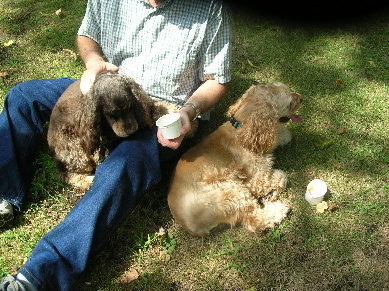 Time to take a break and enjoy those frosty paws. 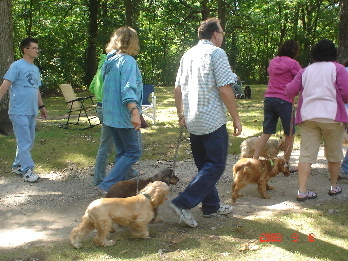 Time to start the walk back.